Don’t write in that book! Don’t tear the pages! Don’t turn down the corner! Have you ever heard a teacher or librarian say those things? Well, in this class we are throwing all that out the window and “breaking the rules”. We are turning books into art. Who’s in? In this three session workshop we will alter used hard-backed books and re-purpose them into wonderful works of art. Your book and its pages will be your canvas as you draw, paint, rip, fold, stamp, and more. 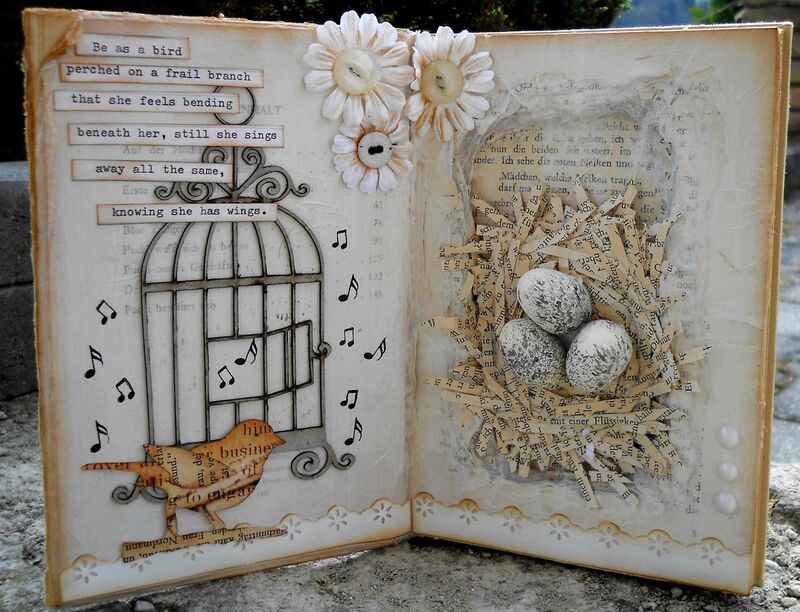 If you like any type of art – collage, scrapbooking, stamping, or mixed media – then you will love making an altered book. Registration includes supplies; the participant at later workshop sessions might want to bring additional materials to personalize their book pages such as photographs, stamps, papers, etc.